Please note: You can book this car with a driver, but pay attention, that rental price doesn’t include fuel price. 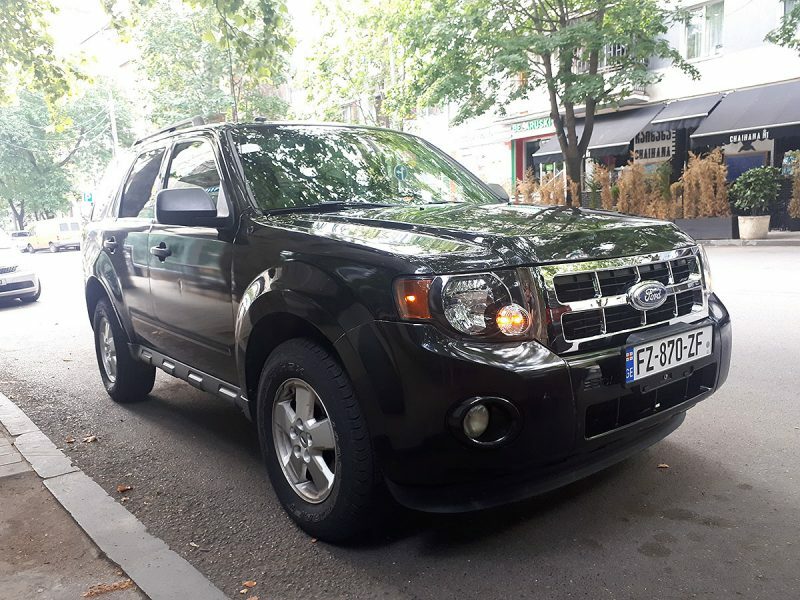 The design of Ford Escape Limited has attracted great attention in the renting sphere, because its technical specifications are fully compatible with the mountainous landscape of Georgia (Kazbegi, Stepantsminda, Mestia, Tianeti, Oni, Ambrolauri, Akhmeta etc.) and with roads in Tbilisi, Kutaisi, Batumi, Axaltsikhe, Borjomi etc. The car is designed for 5 passengers, there is a lot of space in the passenger compartment and in the car trunk (827 liters) and all necessary conditions are designed to travel comfortably. The car is equipped with fog light system, adjustable mirrors and heating system, it also has massive bumpers and high clearance (213 millimeters above the surface), doors are locked by the remote control. The lateral car windshields are held by the electric device buttons. The audio system control buttons are installed on the steering wheel. There is a back view monitor and parking sensors, audio system with 6 dynamics and CD player with MP3 support. For the passengers’ maximum comfort the car is equipped with climate-control and cruise controller, steering wheel and adjustable seats with high quality natural leather. To compare this model with the previous one Ford Escape Limited is distinguished by its comfort and smooth driving on the difficult roads. The load capacity is relevant to the car body is very economical in terms of fuel consumption compared to other SUVs. The automobile has a 2.5-liter engine, a 62-liter fuel tank, an automatic gearbox that consumes 95 octane petrol, 10.8 liters in the city roads, 7.4 liters on highways and 9.2 liters on mixed roads. The automobile weighs 1522 kilograms, the turning minimum radius is 6.1 m. it is equipped with 235/70 R16 size tires, tire pressure control system, safety systems of ABS, EBD, ESP, TCS, with safety airbags for driver and front passenger, side airbags and blinds. GIKO Travel is one of the first companies in the car rental sphere in Georgia. This company offers a wide range of auto rental services and the number of regular customers increases every year. 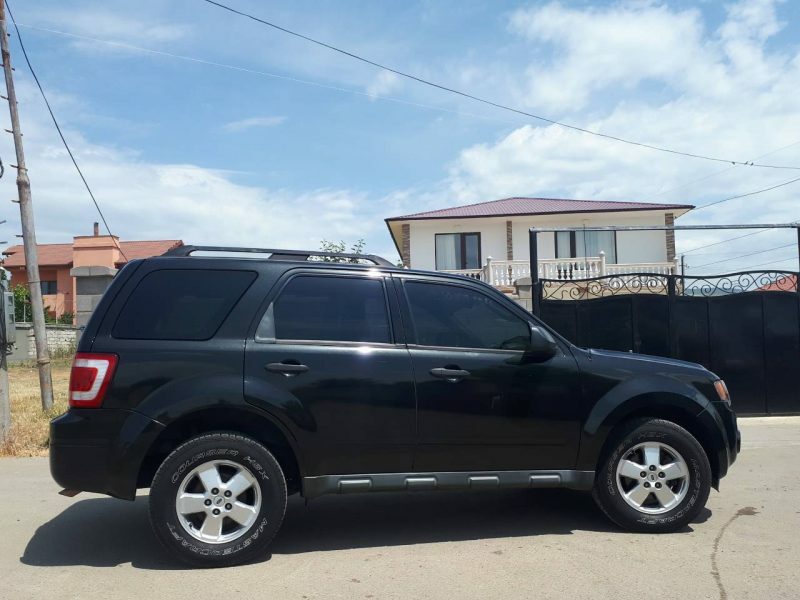 From our company hiring cars is available and convenient throughout Georgia, also it is possible to cross the border and travel to Armenia (In case of specially required permission). Customers can hire automobile in Tbilisi, Batumi, Kutaisi, Akhaltsikhe, Sighnaghi, Kazbegi and travel to all parts of Georgia and Armenia. There are authentic pictures of the cars main features that gives the customers full information about the automobile and to make a right choice to rent the desired car. 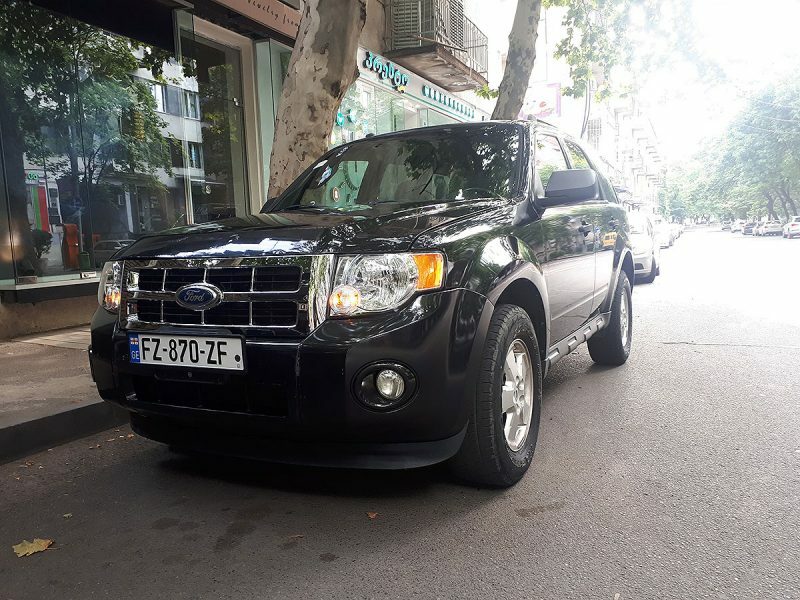 Rent a car in Tbilisi, Zestaphoni, Kutaisi, Kazbegi, Batumi, Bakuriani in Georgia, and try our services and enjoy unforgettable tour with GIKO Travel company!